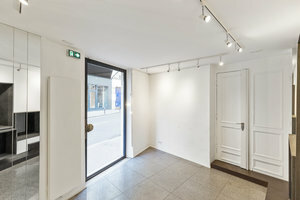 This gallery space located in the chic and lively 6th arrondissement is perfect for an Art Opening, Pop-Up Store or Fashion Showroom. This space has an interesting layout. 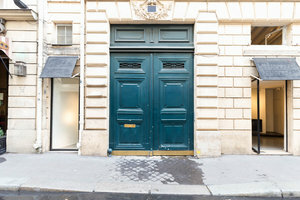 It is composed of one primary two-story space and another window display of 3m2 separated by a large green driveway door, giving more display opportunities. 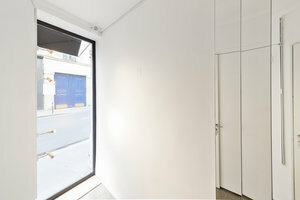 The interiors of the primary space are high-end and inviting with white walls, display track lighting and wooden ceiling beams painted white on the first floor. 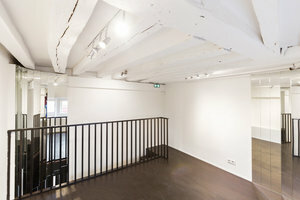 With facilities including internet, hanging rails and a stock room, this space can accommodate a variety of gallery events. 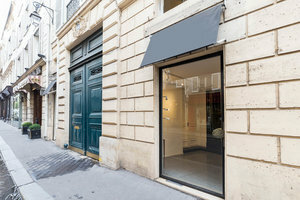 Located in a sophisticated neighborhood surrounded by several popular galleries and restaurants, this space is an excellent opportunity to connect with customers in an elegant setting.